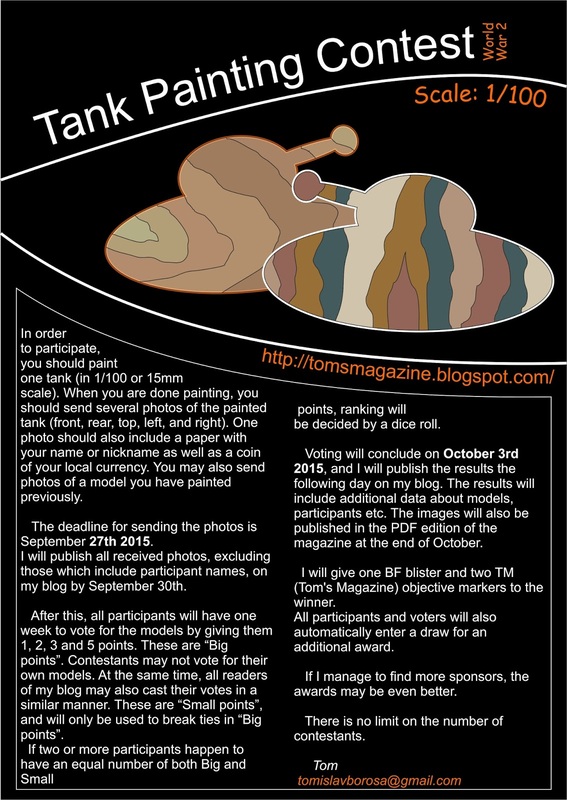 Tomislav at Tom's Magazine is starting a tank painting contest and has asked me to spread the word a little. For more information, see the poster below, as well as Tom's post on the matter. Painted for a friend's Grossdeutschland Panzergrenadier force, the first of two platoons though the second will look pretty similar. Battlefront figures from the GE723 blister with a few others added in: I just painted them. Options for plain, Panzerknacker- and Panzerfaust-equipped Command Teams. Some smaller group-shots from different angles to show details better.